• MY13 prices offer even greater value across the range, thanks to enhanced specifications, options and trim. ROLLE, Switzerland (4th July 2012) – Enhanced specification, a new stand-alone satellite navigation option and even more convenience features are the focus of changes to the Infiniti M Sedan line-up for the model year 2013, available in Infiniti Centers now. The changes are designed to reflect buyers’ wishes for an ever-more complete specification to back up the M’s emotive design and technological diversity, making the most-desired M models more affordable – whether powered by V6 diesel, V6 petrol or V6 hybrid engines. The latest prices and specifications make every M MY13 even more attractive than before in particular in the core GT grade and for the record-breaking M35h hybrid models, which already benefit from a much lower margin over an equivalent diesel variant than that charged by some rivals. Another key change is making Infiniti’s voice-recognition Connectiviti+ satellite navigation and entertainment system a single attractively-priced option for the first time on all GT and S models, opening up the option to more buyers. The system even includes Forest Air®, one of the most sophisticated climate control systems available. Base, GT and S models all now come with a new Bose® 10-speaker high performance audio system which includes eight-channel equalization as well as the Bose® AudioPilot2 Noise Compensation Technology. Its Engine Harmonic Cancellation system utilizes microphones mounted around the cabin to identify, and then cancel, unwelcome engine sounds. The M’s already long list of standard features is added to on all versions by a new automatic soft-close boot function, boosting both refinement and practicality. Inside, new Tricot trim material is used for the rooflining on GT and GT Premium versions. Other trim changes comprise leather and Japanese Ash wood on GT models, with Java leather and White Ash wood trim – complete with its exclusive silver powder finish – reserved for the GT Premium. The base models (M37 petrol and M30d diesel) are equipped with 7-speed automatic transmission with manual mode, heated and ventilated front seats, HDD Music Box, bi-Xenon headlights with AFS, 18-inch alloy wheels and full colour central display. GT models (M37 petrol, M30d diesel and M35h hybrid) upgrade to leather while GT Premium variants – also available with all three powertrain options – are equipped with Infiniti’s complete suite of safety and convenience technology including Blind Spot InterventionTM, Intelligent Cruise Control (ICC) and Lane Departure Warning (LDW) and Prevention (LDP). S Premium versions (M37 and M30d) gain exactly the same advanced technologies as the GT Premium along with the extra sporting focus the S badge brings: larger alloy wheels, 4-Wheel Active Steering, and sports suspension, brakes and seats, along with black lacquer trim. The M30d is additionally available in S grade. Every new M model in the 2013 line-up delivers all the emotive driving pleasure that is at the root of the luxury automotive brand from Japan. Performance and innovative technology combine in perfect partnership in the M35h hybrid whose 364PS is not at the expense of CO2 emissions – 159g/km – or fuel consumption, 6.9 l/100km on the combined cycle and 5.6 l/100km highway. Making it truly the “no compromise” hybrid, the M35h can accelerate from 0-100km/h in just 5.5 seconds. Its extraordinary performance was hailed in 2011 by Guinness World Records, which officially declared the M35h the world’s fastest accelerating hybrid. 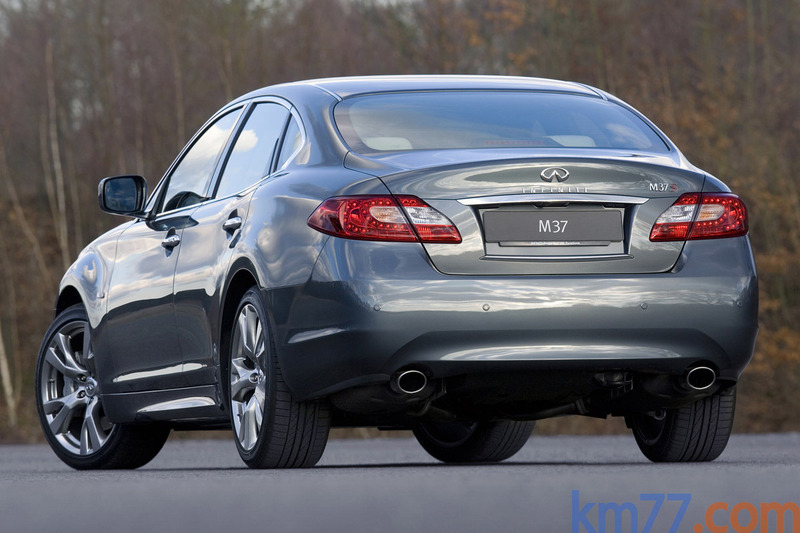 The new Infiniti M range is available in Infiniti Centers throughout Europe from this month. 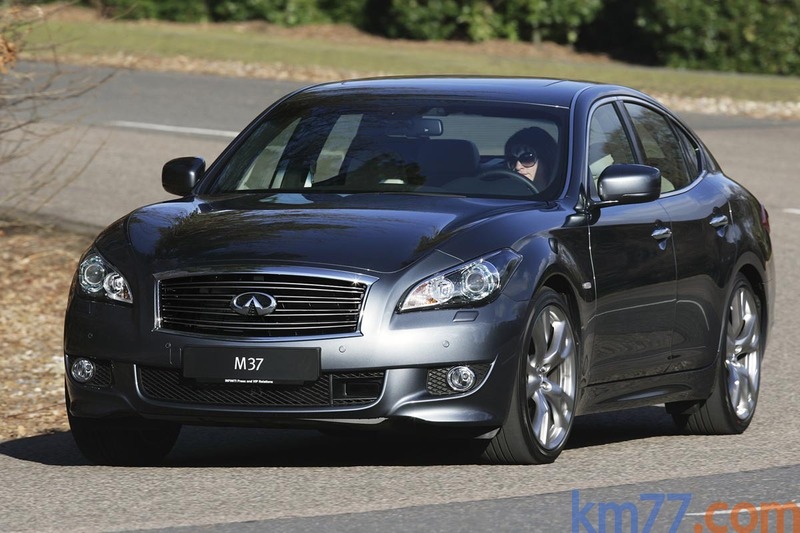 For Infiniti M MY13 pricing, please refer to the local releases or contact your local Public Relations Manager. Wah che bella.. Forse un po' jag dietro..
sembra una massa di gelatina informe. praticamente tutto sbagliato. Io la trovo molto piacevole sia davanti che di lato, molto meno dietro e abbastanza orrenda dentro. Senza dubbio un buon prodotto, ma sicuramente non la mia prima scelta. Mi sembra un pò la versione lusso del design Hyundai anni 90. Mi aspettavo molto di più.... invece la trovo banalotta, vecchiotta, e pure "bruttotta" dietro. Dopo i 2 due suv e la coupè riponevo fiducia in questa berlina, invece zero. Posteriore e laterale non mi fan gridare di gioia ma non li trovo nemmeno sballati. E' anteriore che mi lascia un po' perplesso, perchè la forma di quella calandra mi da una forte sensazione di "non finito", lasciato a metà, senza cura. Dell'interno mi piace l'ideuzza del motivo svirgolo nella pelle della seduta mi da l'idea di un qualcosa di più vivo del solito. 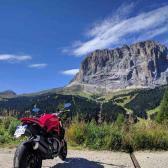 La plancia però al primo impatto mi è parsa una versione lussissimo della Impreza, con quelle linee che dal lato passeggero precipitano in consolle. E' un motivo un po' forte che la richiama un po'. In generale comunque imho non è da disprezzare.